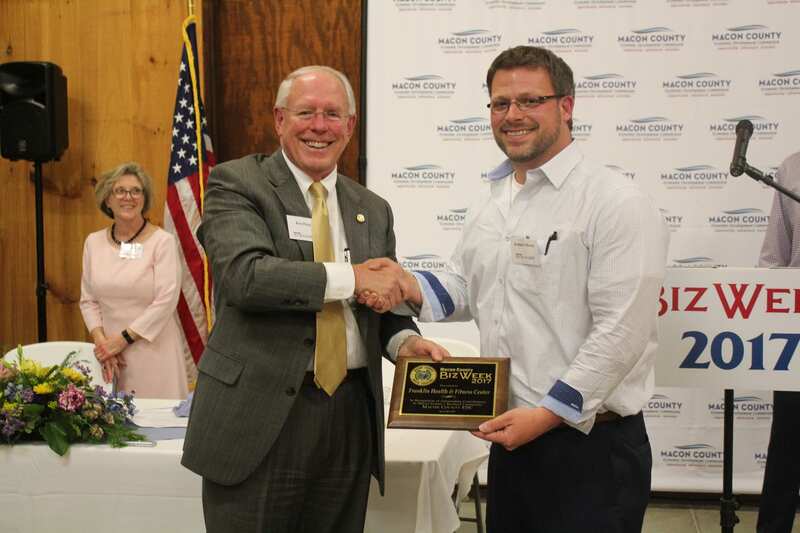 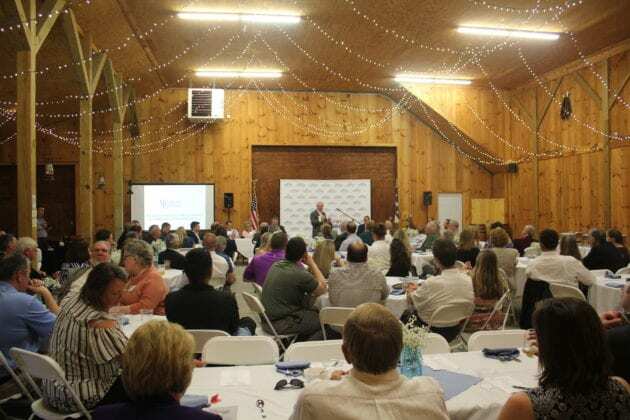 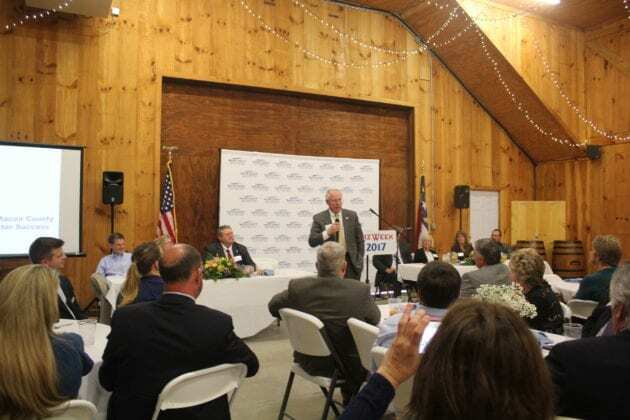 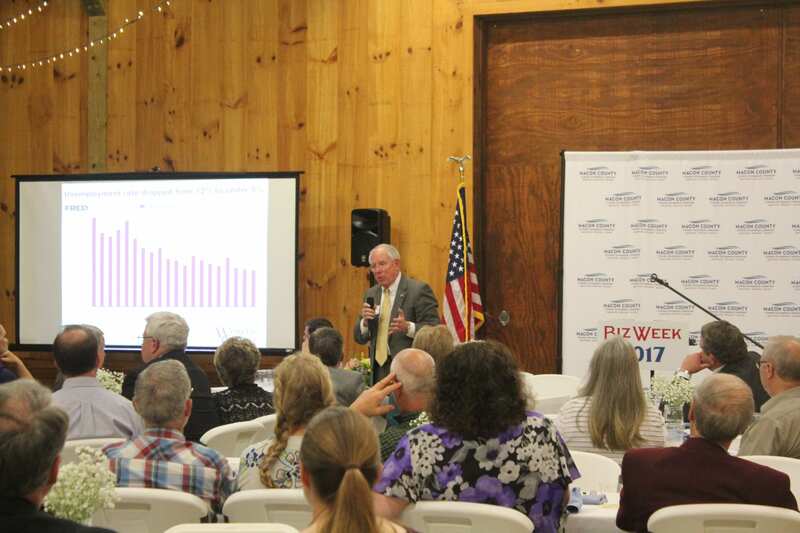 For the last seven years, Macon County’s Economic Development Commission (EDC) has been celebrating business in the county with the annual BizWeek celebration. 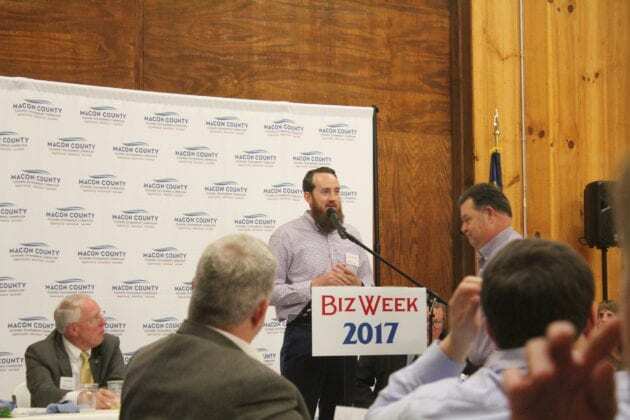 The annual event features networking opportunities, education seminars for small business, and a chance to honor members of the business community who are making waves in the region. 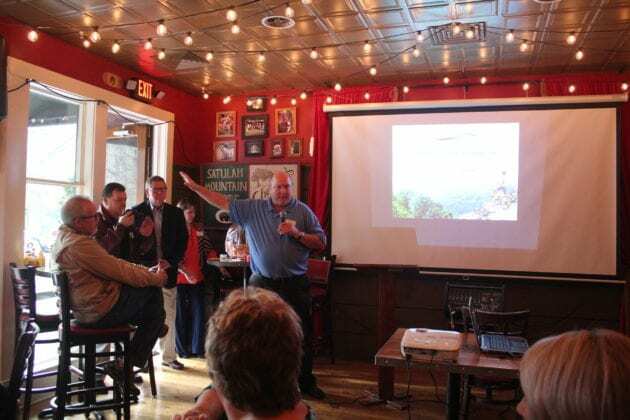 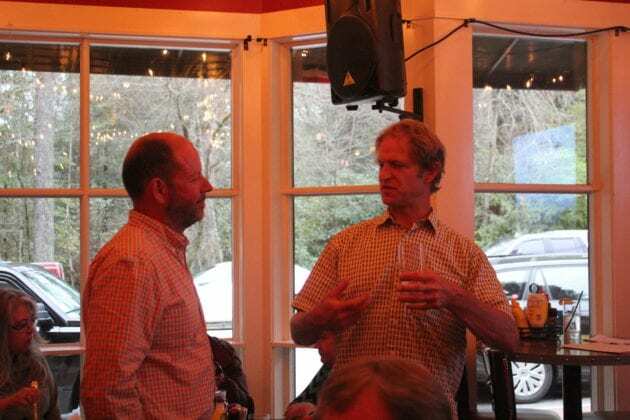 This year’s event was expanded to Highlands, with an Entrepreneur Networking night held at the Ugly Dog Pub in Highlands. The evening featured Steve Morse, director of WCU’s Hospitality and Tourism Program. 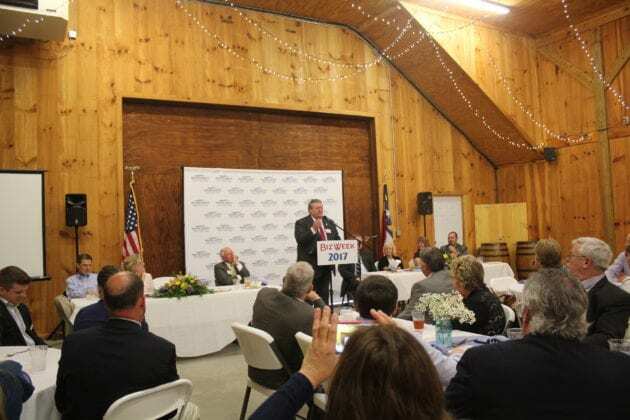 Morse spoke to Macon County’s innovative efforts of combining economic development and tourism planning to utilize the strengths of the industry. The event wrapped up last Thursday with the annual BizWeek banquet. 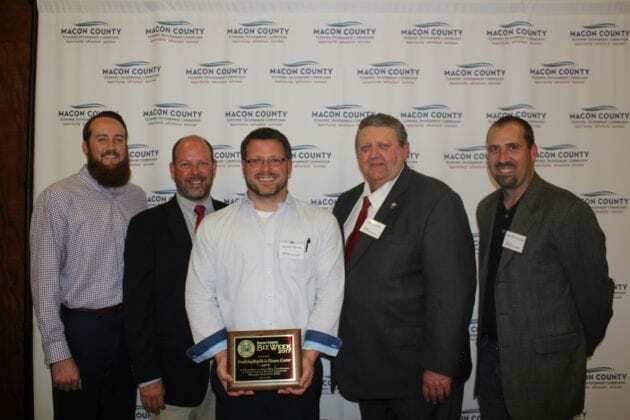 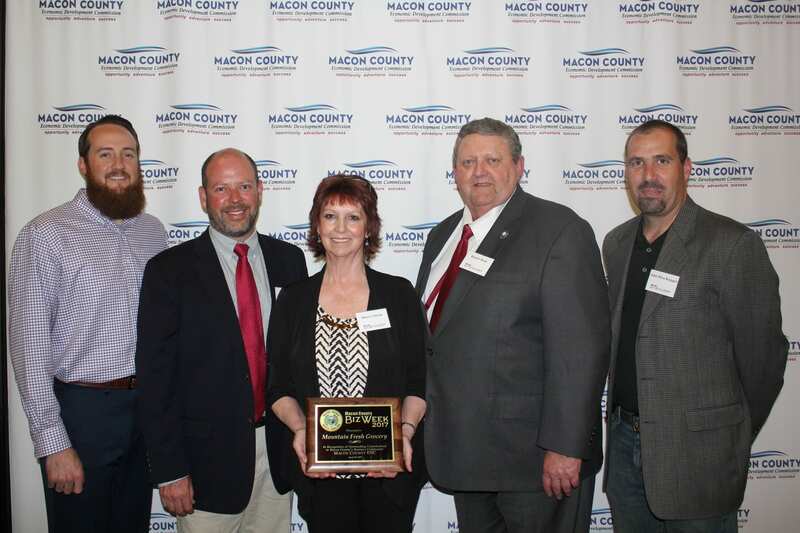 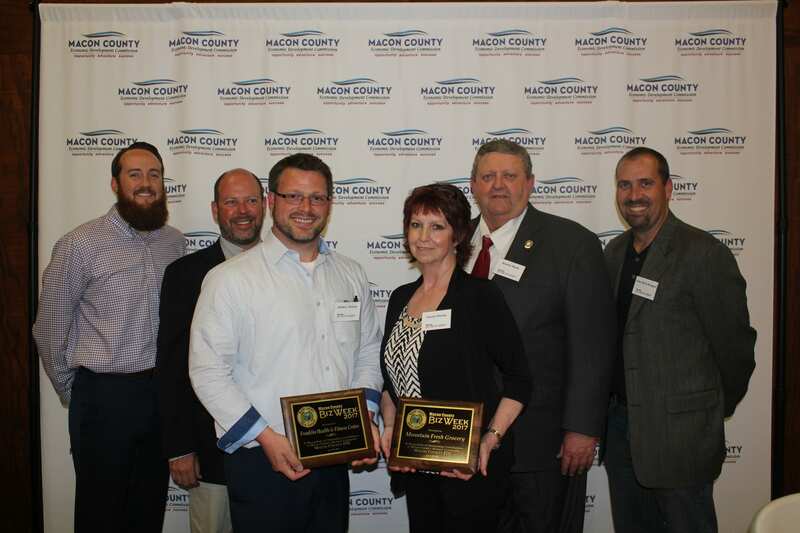 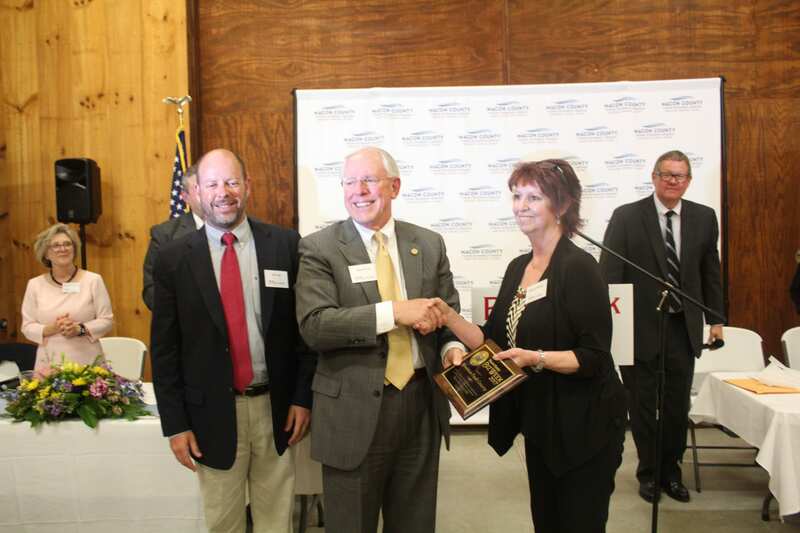 Members of the EDC added two new inductees to Macon County’s BizWeek honorees, a recognition reserved for businesses in Macon County who have helped shape economic development in the region. 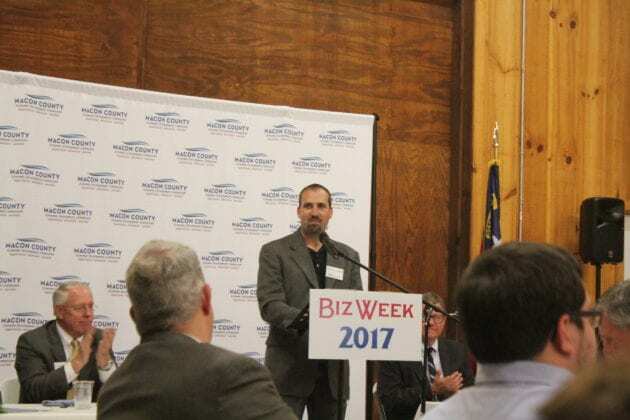 The 2017 BizWeek honorees are Franklin Health and Fitness Center and Mountain Fresh Grocery and Wine Market in Highlands. Cory McCall, EDC member commended the Franklin Health and Fitness Center for serving Macon County for 29 years. 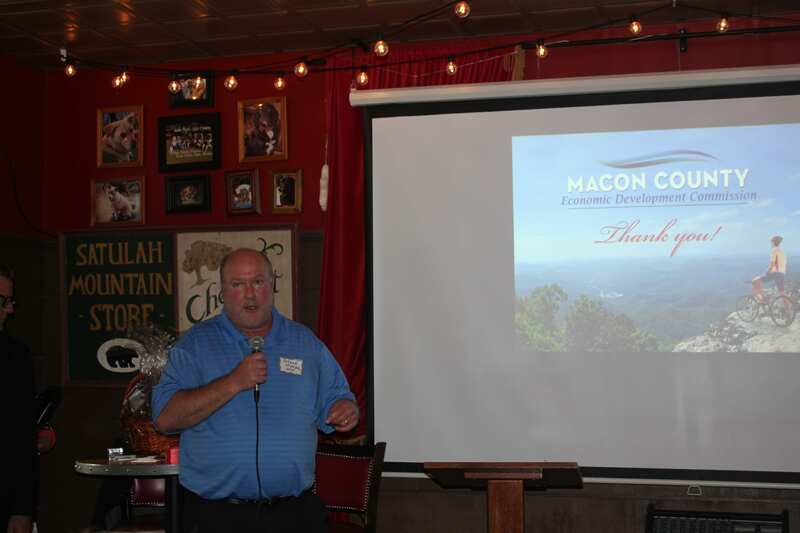 Owned by Rodney Morris, the center has experienced several expansions both in their facility and in staffing and will soon be opening their second location in Clayton, Ga.
Macon County Commissioner Jim Tate introduced Sherry Owner, General Manager of Mountain Fresh Grocery in Highlands who was also named a 2017 Honoree. 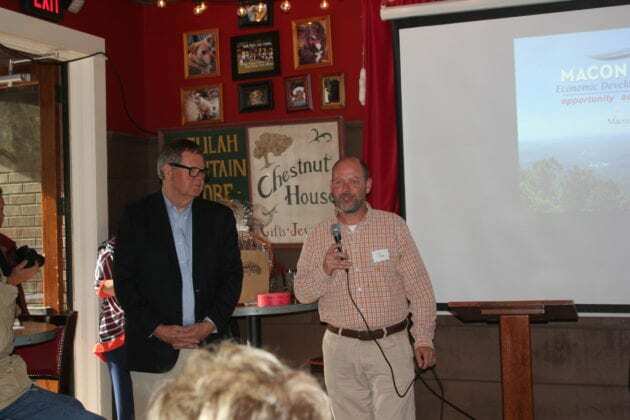 Tate said that Mountain Fresh has created a unique business plan that meets the diverse needs of the Highlands community, while changing to meet the needs of the vacation destination town. In addition to honoring Franklin Health and Fitness and Mountain Fresh, last Thursday night’s event included a keynote address from Ken Flynt, who serves as the associate Dean of Outreach and Engagement for WCU. Flynt presented research on economic development trends in the region touting Macon County’s partnership with WCU and local businesses such as Entegra Bank. 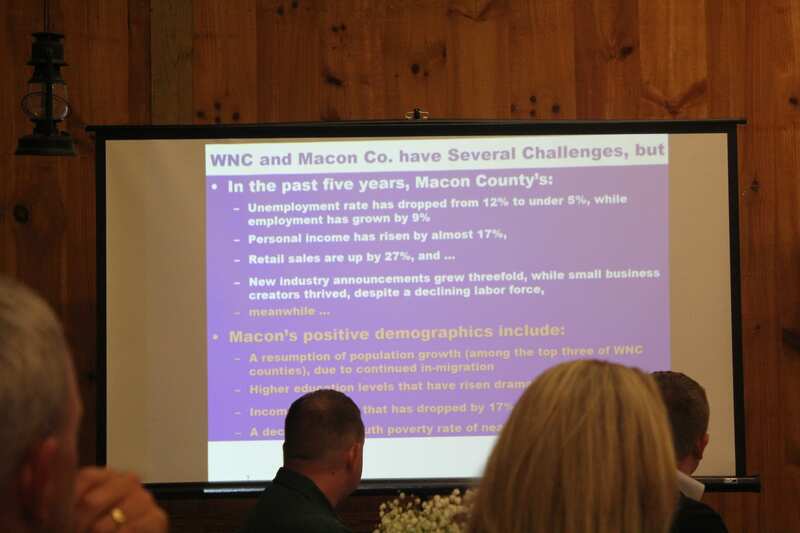 The public and private partnerships are one of the reasons Flynt believes WNC remains successful and innovative.